VoIP (Voice over Internet Protocol) is a real game changer in the domain of business communication. It has made communication more affordable and accessible while empowering mobility in the enterprises across various industry sectors. VoIP comes handy when enterprises want to establish and maintain a real-time connectivity with employees and stakeholders reside at remote areas. Apps like Skype have revolutionized the way we connect individuals and the company professionals communicate through conferencing. Today, thanks to technological advancements, we can implement VoIP in and out of the workplace to harness its potential to achieve objectives like streamlining business communication and boosting collaborative efforts. 1. Skype is NOT the limit! You can integrate VoIP into your office in many ways- Skype is just a simple example of VoIP-based communication. You can readily leverage an approach of united and unified communications through VoIP and shift your focus from critical communications management to other important business tasks. VoIP solutions can make your business more flexible and scalable through establishing unified communication. Let’s face it. Traditional marketing is not enough in today’s competitive business scenario. With the help of customized VoIP solutions, you can initiate a full-blown telesales campaign for boosting promotional efforts. Both management and execution of such campaign is easy with a VoIP-integrated system. Apart from telesales marketing, your company can offer various related services like bill payment and product inquiry along with its demo using VoIP software. Do you think that VoIP is only for outgoing calls? In fact, VoIP can massively improve your internal communications along with the external ones because of its versatile nature. It eliminates any delay in getting a reply to an email when every member of your team has their VoIP phone line and you can readily connect with them. What’s more, you can blur the geographical boundaries with the help of VoIP technology and stay in touch with employees irrespective of their location. When it comes to the mobile workforce, you may have to deal with customers’ complaints about call drop or poor voice quality. A VoIP system can help you resolve these troubles. It enables you to improve customer service through offering seamless connectivity and real-time assistance. The Internet has already blurred the boundaries of countries. VoIP empowers you to expand business and make your company multinational through supporting international communication with less calling costs. 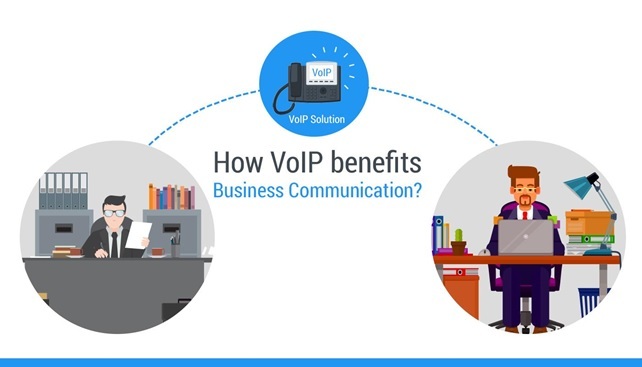 VoIP offers affordable international connectivity that can play a vital role in making your company a global enterprise. In a nutshell, the VoIP technology can enhance the business communication through many ways and become the single most important communication tool. You can unleash its true potential through integrating customized VoIP business solutions with your existing communication system. Ruchir Majmudar is fond of writing about technological advancements in the domains of VoIP and mobile app development. He works as a senior content writer at Ecosmob, a leading VoIP and mobile app solutions provider. When not writing, you may find him enjoying delicious dishes.